Feminist isn't a dirty word. Or at the very least, it shouldn't be — to be a feminist, simply put, is to believe in and fight for equality between women and men, which in this day and age ought to be as straightforward a cause to champion as any. And yet, the very words "feminist" and "feminism" have often come under attack, as exhibited by a recent Time poll asking whether the word "feminist" should be banned from our vocabularies in 2015. Well, Time apologized for its "feminist" word ban suggestion Saturday, and that's a relief. 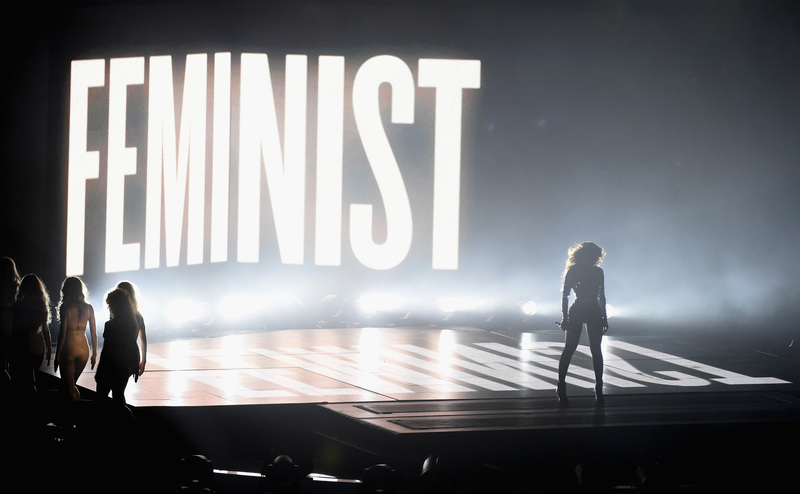 After all, do we really need more people dismissing feminism these days? Whether you're a celebrity conflating feminism with female supremacy, a video game lover who sees misandry around every corner, or yes, a tone-deaf idea for an online poll, there's no shortage of people out there who don't get how simple and uncontroversial being a "feminist" really is. Time's mea culpa for the poll option — it bears mentioning, rather depressingly, that "feminist" was leading by a fairly wide margin, beating out other words like "kale," "turnt" and "bossy" — claimed that they meant to "invite debate" about the word's usage throughout 2014. Invite debate while... imagining it be banned? That's a strange invitation, one must admit. For some perspective, this was the context that Time initially brought to bear, included among the descriptions of all the different words they offered up. Obviously, it's something of a canard to say that every celebrity has to answer whether they're a feminist or not — whether a person is asked about feminism or not, how or whether they answer at all is entirely up to them. But more importantly, the reason people find it relevant and interesting, and want to ask that question, is that feminism is about equality between men and women in a world where we so often fall short of that ideal. It's a cause which countless people have spent their whole lives fighting for, not unlike the struggle for LGBT rights, racial equality, and so many other civil rights movements. The willingness of people in high-profile positions to stand up and say "I'm with you" is a crucial form of solidarity, especially when words like "feminist" are put on trial as often as they are today. In any case, Time has apologized, which means we'll have to wait until next year's list of proposed words to ban to see if any more ill-advised ideas pop up on the list. But for now, at least, let it be known that you shouldn't be piling dirt on "feminist." It's a good word, for a great cause, and it's here to stay.